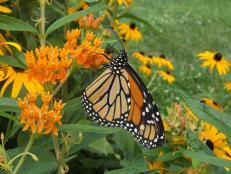 Easy steps for making your yard butterfly-friendly. Once you've installed your landscaping according to plan, have a little fun. Add a whimsical element, like a butterfly island, birdbath or sculpture. 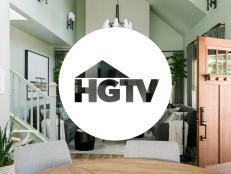 These details help make your landscape unique. "Don't be so formal that you forget to be creative," Maureen says. 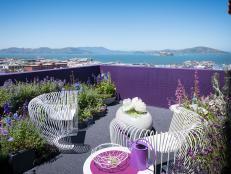 "Put your own personal touch in a spot you can see while you're having your morning coffee." 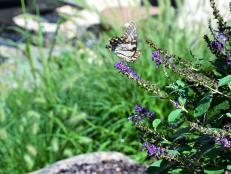 Who doesn’t love butterfly gardens? 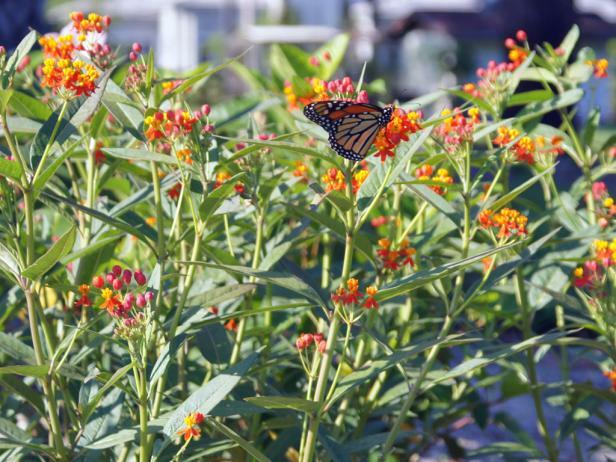 If the idea of bountiful flowers alive with the fluttering of colorful wings appeals to you – but you don’t have a lot of yard space to devote – you’re in luck: even small spaces can accommodate a butterfly garden. Size Matters: Many of the plants that attract butterflies require space to sprawl, so choose large pots, planters, or alternate containers. Pick a Location: While butterflies are attracted to sunny areas, it’s also a good idea to situate the containers near a wall to block wind and provide the insects with shelter if needed. Keep in mind that the same plants that attract butterflies often attract bees and other stinging insects, so consider placing your butterfly garden away from play areas. Butterfly Beverages: Butterflies aren’t able to drink from ponds or bird baths – they prefer shallow sources of water like puddles. So create your garden in an area where water collects after it rains, or create your own puddles around the garden to give your winged friends a place to sip. 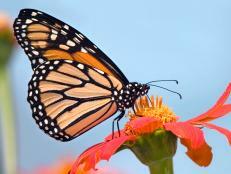 Need Nectar: Butterflies love nectar-producing plants like sweetpea and marigold. Choose a diverse range of plants to attract different species, and be sure to include a few taller plants to provide additional protection from strong breezes. Which plants you choose may also depend on your region. Search the Internet for a local butterfly club to get more information on which butterflies frequent your area – and how to attract them. Now that you’ve got what you need, it’s time to get started! Before long, your yard will be filled with a mosaic of wings. Offer a sheltered, sunny spot and a diversity of flowering plants, and you'll have these beautiful creatures  and their children too. Welcome these colorful winged creatures to your garden. 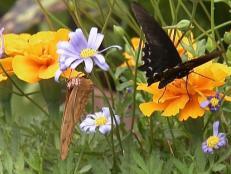 Find out which flowers they prefer and how to make a butterfly bath. If you’re looking to lure butterflies to your backyard, you have to start like they do: with the caterpillar. Plant a garden that caters to butterflies, and you’ll be rewarded with flitting, fluttering color—along with drifts of flowers. 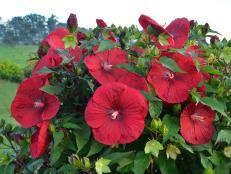 Learn how to make your yard a destination for these beauties. 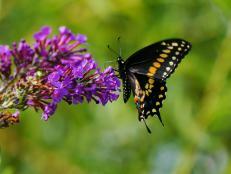 Learn more about the easter tiger swallowtail butterfly. See how you can help butterflies and bees thrive. 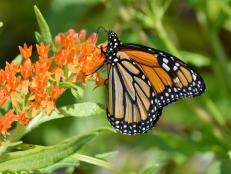 Check out these plant options for drawing in and nourishing butterflies in your garden. 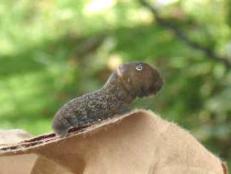 Butterfly host plants serve as a great place for young caterpillars to hatch and feed.